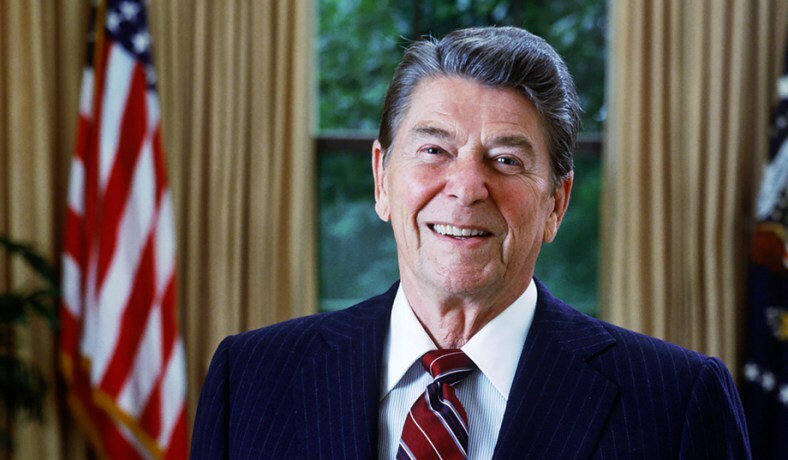 Actor turned Governor of California, Reagan became President in 1981 and served for two terms. Just 69 days into his first term, Reagan was shot during an assassination attempt, but recovered quickly which garnered him much respect and popularity amongst the public. As President, he was able to pass legislation that would stimulate economic growth, curb inflation, and increase the employment rate. He cut government spending in all areas except for defense and passed a major overhaul of the tax code which got rid of many deductions while exempting millions of low income workers. At the end of his presidency, America witnessed its longest period in history of peacetime prosperity without a recession.